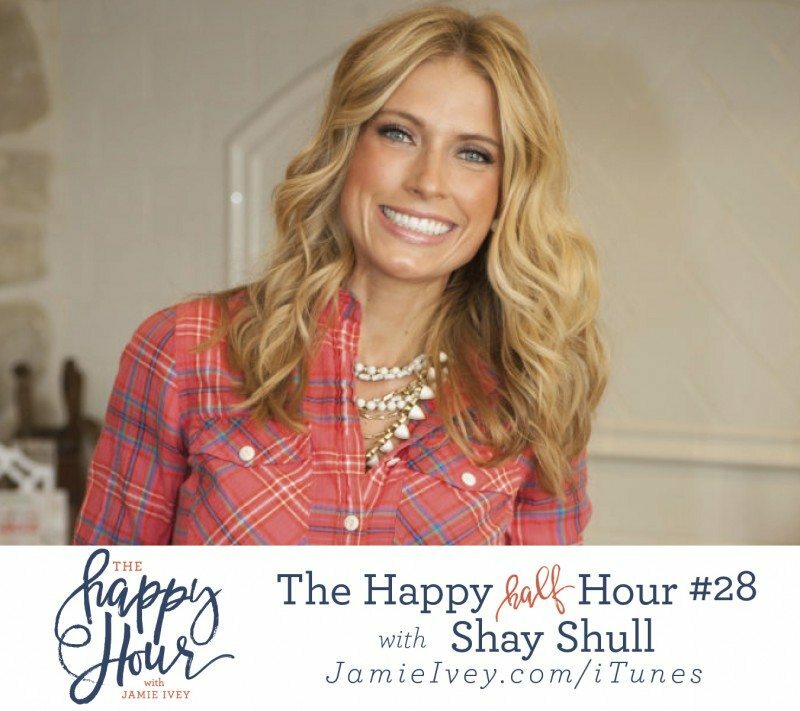 My guest for The Happy Half Hour #28 is Shay Shull. Shay is a cookbook author, blogger, world traveler, baseball lover and mom to four. With her husband, Andrew, they live in McKinney, TX, where they each own their own businesses, drink way too much coffee and argue over whose baseball team is superior (she loves the Sox, he's a Yankee fan). Shay's passionate about food, family, faith, travel and adoption. Shay was on The Happy Hour exactly one year ago for episode #82. If you missed that show, make sure to catch up here. Since then, she and her husband have adopted another baby and she's written a second cookbook: Mix-and-Match Mama Kids in the Kitchen. In our chat today, we talk about the latest goings on of the Shull family, resolving that we should catch up more than once a year. Shay shares her newest obsession - her Sleep Number bed. And she answers what she'd like her legacy to be, the advice she loves to give out and where she'd love to live for a year. I know you'll love catching back up with Shay. Make sure to keep an eye out for her on the next Sleep Number Bed campaign. I hate to tell you this, but I think listening to this show might end up costing you some dollar bills. I am pretty sure you're going to want to renew that passport and hop on the next international flight to experience the world. 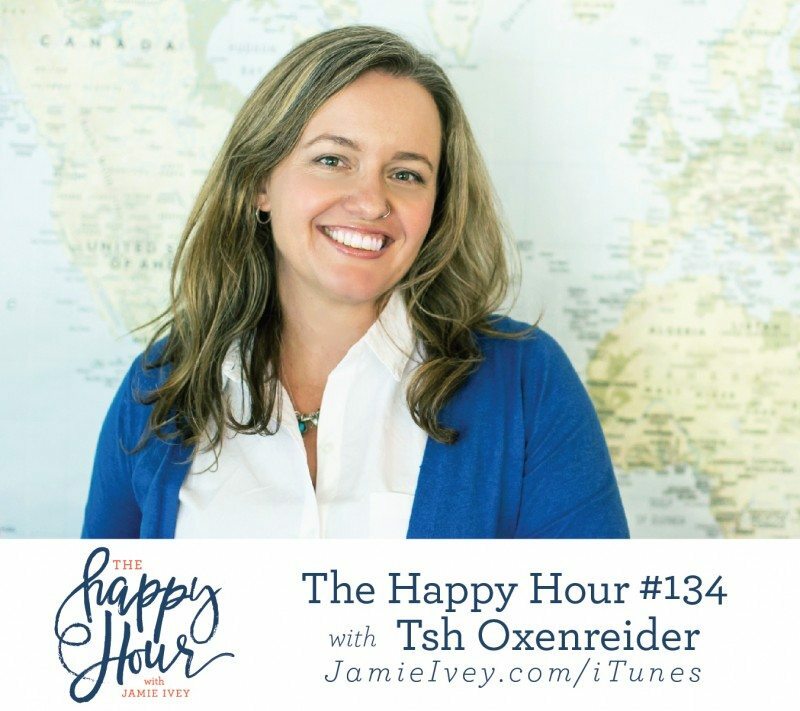 Tsh and her husband are avid travelers and value showing their kids the world. In 2014, they started a journey around the world (with three kids!) and lived to tell about it. On today's show, she shares about traveling with kids, their decision to live low and slow all over the world, and the challenges surrounding re-entry to their normal lives. Tsh's memoir about their travels is releasing next month, and I can't wait to dig in. You can pre-order your copy here. And if you love traveling, share a photo on Instagram and tag Tsh and me! We'd love to see where you've been and what you loved. Also, I have a big favor to ask of you. In order to support the show, we are looking for some great advertisers. To get the best advertisers for our listeners, we need to gather a little bit more information about YOU. Will you please take just a couple minutes to fill out this survey? As a bonus, you'll be entered to win a $100 Amazon giftcard and some other goodies I'll be giving away! 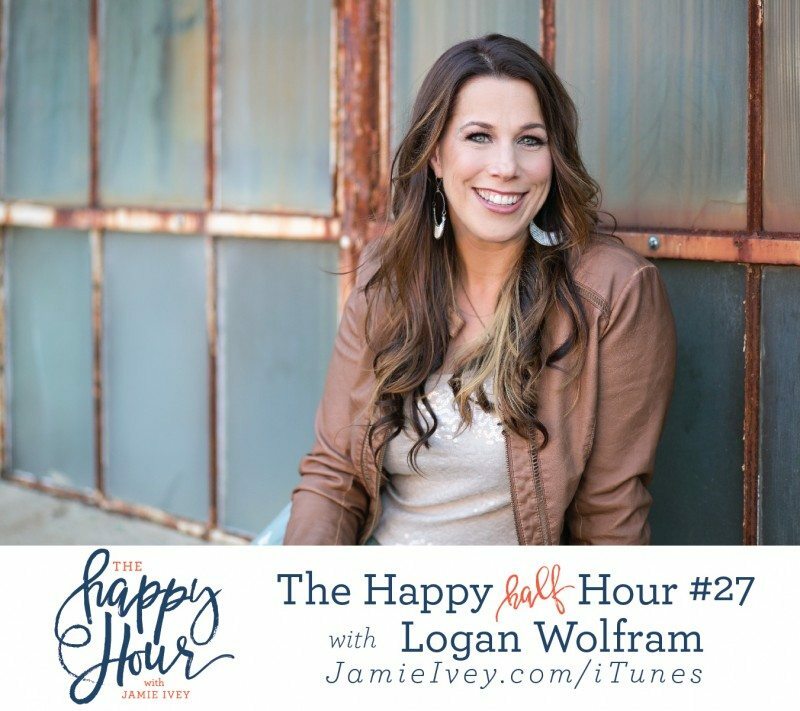 My guest for The Happy Half Hour #27 is Logan Wolfram. Logan would give you full access to her pantry if you lived next door. She is a plate-juggling mom and interior decorator turned author, speaker, and host of the Allume Conference. She is a passionate leader who desires to see women live fully in Christ. Logan is the author of Curious Faith; Rediscovering Hope in the God of Possibility. She is currently working on her second book which is set to release in Fall 2018. Along with her husband, Jeremy, she divides most of her time between wrangling two inquisitive boys and a 175-pound dog named Titan. Logan was first on The Happy Hour for episode #57. If you missed her then, make sure to catch up here. In our conversation today, Logan shares about traveling to China with her young kids and consequently, a truancy report. We also talk about our Voxer mastermind group, which we both use to bounce ideas off each other, ask questions and encourage one another in our work. And Logan gets the usual Happy Half Hour routine, with questions like what advice she likes to give out, what success means to her and where she'd like to live for a year. Y'all enjoy catching back up with Logan, and have a great weekend! 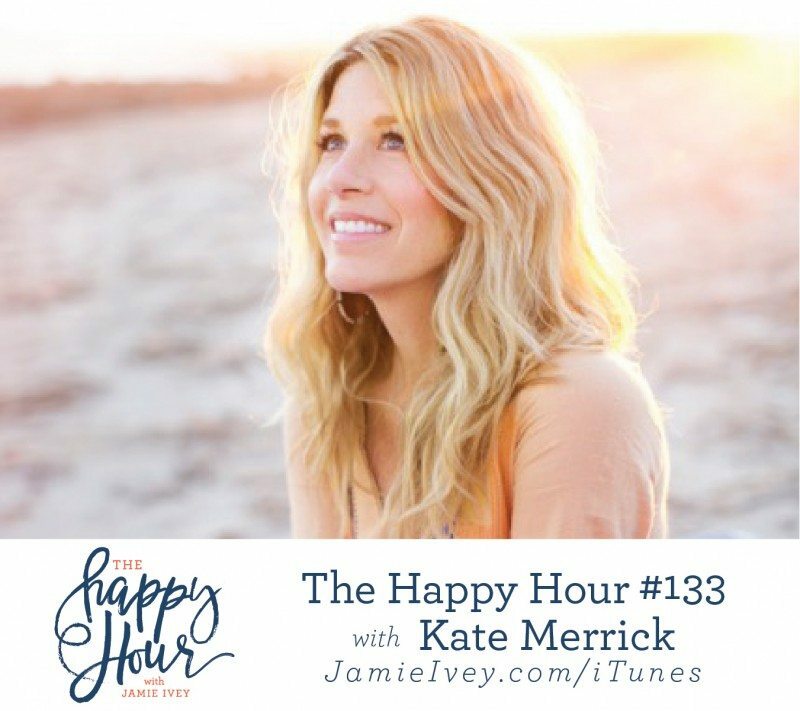 My guest for The Happy Hour #133 is Kate Merrick. Kate is a writer, speaker, pastor’s wife, mama of a teen and a toddler, surfer, part-time cowgirl, and self-proclaimed chicken whisperer. She has been married to Britt for 19 years, and they live in Carpinteria, California, where they founded the Reality family of churches. In 2013, she endured the death of her daughter, Daisy Love, after suffering through cancer treatment for three and a half years. Kate is making her way back toward laughter, and finding life to be filled with good things. In today's show, Kate and I chat about her new book: And Still She Laughs. I have read through most of the book already and was so impressed and surprised by the approach she took to write it. Instead of it being primarily the story of her grief, she details the stories of several women in the Bible who have suffered and persevered. We also talk about her decision to get off social media preceding her daughter's death, and what led her to that decision. We chat about the tension between perspective and comparison - and how comparison robs us of our joy in living the life God has planned for us. And finally (because what happy hour would be complete without it? ), we discuss shark attacks and my paralyzing (and very rational) fear of being devoured by a shark. Noonday Collection is a fair trade jewelry and accessories company that provides meaningful opportunities around the world. To create a marketplace for the Artisan Partners they work with, they invite women in the United States to launch their own businesses through the Ambassador Opportunity. For the month of March only, Noonday is offering you exclusively some of my personal favorite products when you join. 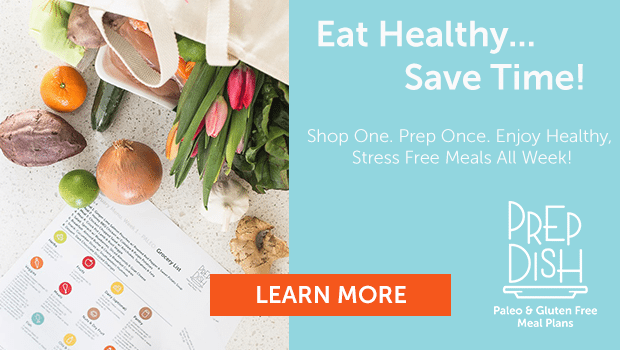 Just click here to see exactly what those products are and how you can join the Ambassador Community today! 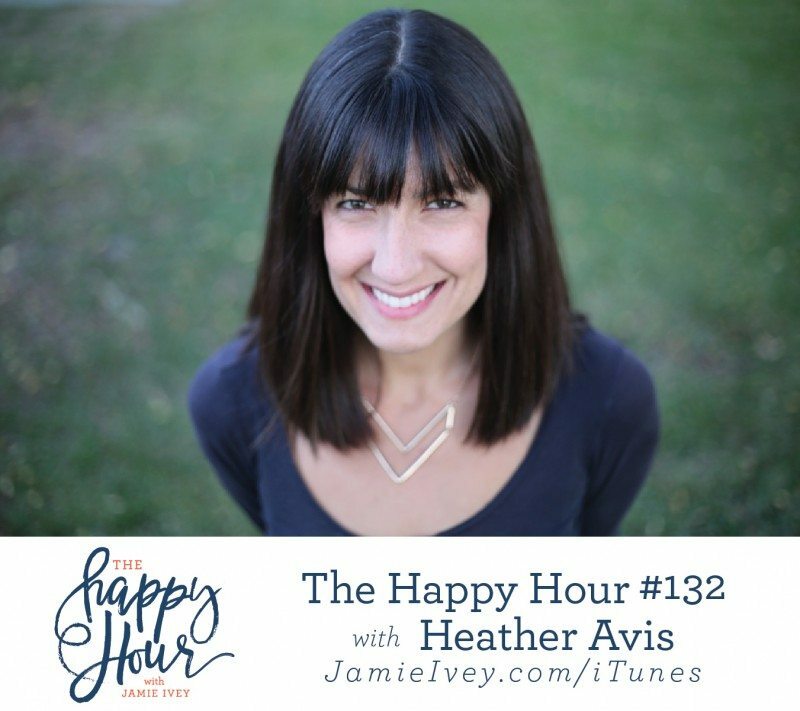 My guest for The Happy Hour #132 is Heather Avis. Heather is wife to her man Josh, and mother to the adorable Macyn, Truly and August. After working as an Education Specialist she found herself as a full-time stay-at-home mom when she and her husband adopted their first daughter, Macyn, in 2008. Shortly thereafter, in 2011, they adopted their second daughter, Truly. And in 2013, their son August was born and came home to be theirs. Heather currently resides in Southern California where between oatmeal making, diaper changing and dance parties, she just finished writing her first book and uses her hit Instagram account @macymakesmyday, to share the awesomeness of all things Down syndrome and adoption. In my conversation with Heather, I learn all about the journey that God took Heather and her husband on to bring home their three gorgeous children. Heather shares about how God changed her heart to pursue adopting a child with Down Syndrome. She talks about some of the misconceptions and the language people use when talking about children with special needs. And she also shares the staggering statistics on doctors recommending aborting babies with Down Syndrome. It took my breath away, and I imagine it will for some of you too. This was my first time meeting Heather, and I absolutely loved getting to know her. She cares fiercely for and advocates for the underdog, and she believes God's goodness and beauty are found in the seemingly uncomfortable places. Coming up next week, on World Down Syndrome Day, Heather will release her very first book. I can't wait to read it, and I know you'll love hearing more of her story as well. Make sure to pre-order your copy here. 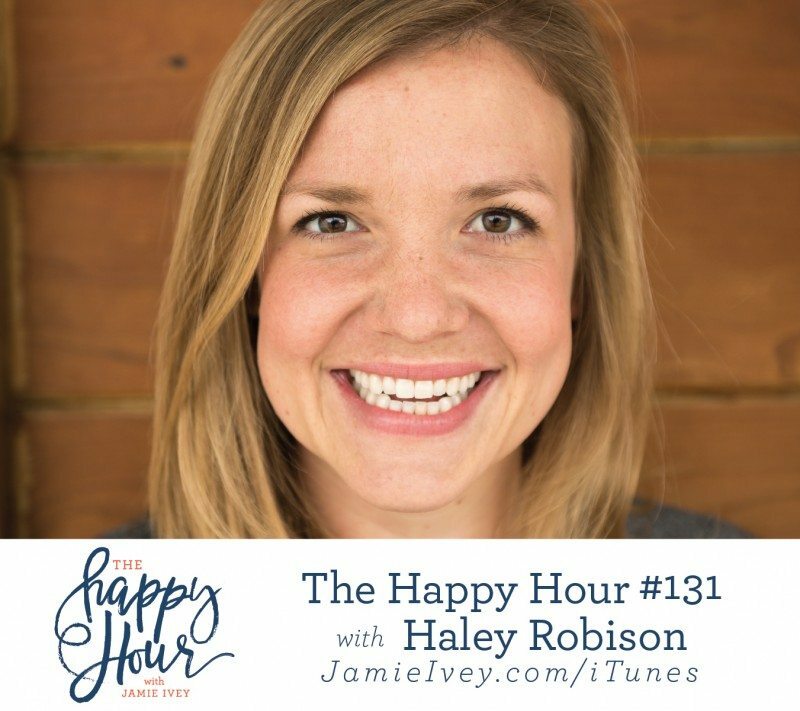 My guest for The Happy Hour #131 is Haley Robison. Haley Robison is the CEO at Kammok, a outdoor gear company that designs technical, performance gear for the everyday adventurer. Haley believes in the power of well-designed product to enable life changing experiences, and she aspires to increase outdoor engagement by building a brand that encourages a city-to-trail lifestyle and makes the outdoor experience accessible for everyone. In today's conversation, Haley and I talk about what it's like to be a 31-year-old CEO of a very popular and successful company. Haley shares a bit about the pressures of being a young female executive. We share about our very similar (insert eye roll) experiences camping and brushes with death. She explains the differences between Type 1, Type 2 and the dreaded Type 3 fun. Haley also opens up about singleness and her contentment in this life stage. Finally, you'll hear about the newest Kammok gear that you're going to want to get your hands on! Kammok is offering 20% off using the code HAPPYHOUR for listeners. So, make sure to hurry over and grab some gear! Offer is good until March 31. The Easter Story Egg™ is a family activity that explores the story of Holy week from Palm Sunday to Easter Sunday. This new tradition includes a hardcover book and 7 wooden nesting Eggs. Each Egg in the set has a story within the book that relates to a particular day in Holy Week. As the children open each Egg they will discover the story of Easter. Finally, on Easter Sunday they will find the smallest Egg empty and they will be reminded of the true meaning of this special holiday! 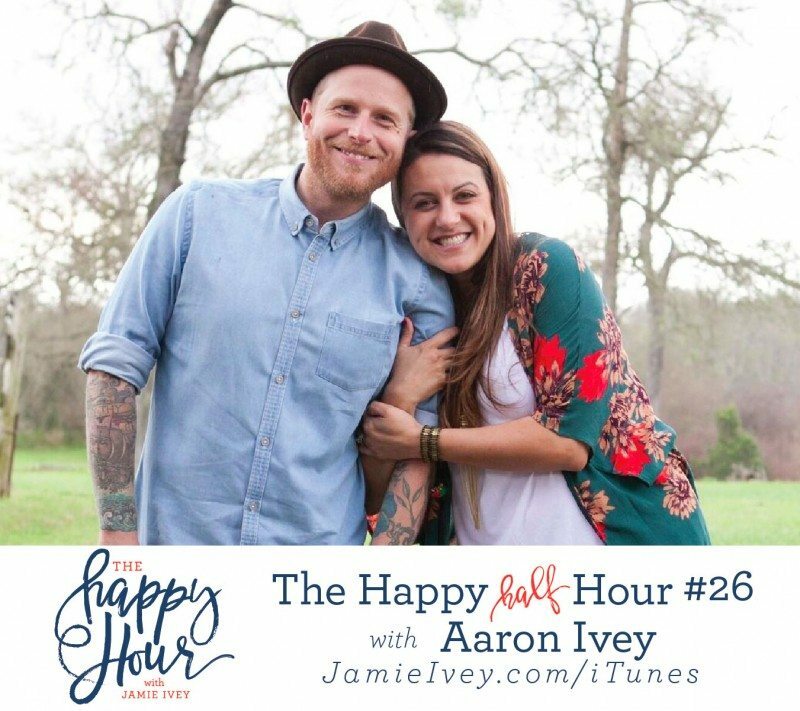 My guest for The Happy Half Hour #26 is my husband, the one and only, Aaron Ivey. Aaron is the only man allowed on the show, unless one of you can connect me with George W. Bush. Aaron is making his fourth appearance on The Happy Hour. You can listen to his previous interviews here: #39, #70 and #100. In today's show, we give you some sneak peaks into The Happy Hour LIVE! You're not going to want to miss. We have some really fun surprises and an unforgettable night planned for you. You have just a couple more hours to snag your ticket. So, go go go right now and grab one. We also hear Aaron's latest recommendations on TV and podcasts, the advice he loves to give and what he's aiming for in 2017. We also get an earful of his pet peeves - he's pretty peevey. Peeves and all, he's my favorite guest of all time, and I am pretty sure he's gotta be yours too. Y'all enjoy the show and make sure to hurry over and grab one of the last few tickets for the live shows! 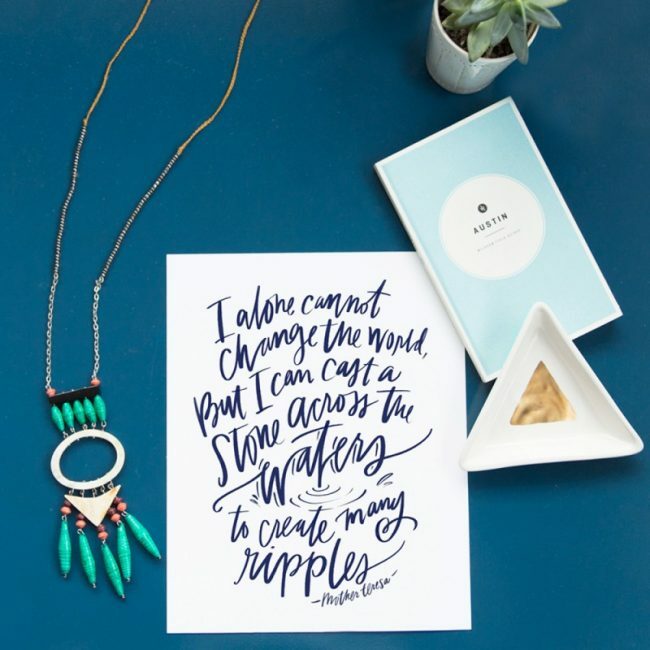 Noonday Collection is a business that uses fashion to create meaningful opportunities around the world. When you purchase Noonday accessories, you create a marketplace for artisan businesses, enabling them to provide dignified jobs in vulnerable communities. They develop artisan businesses through fair trade, collaborative design, responsible financing, capacity building and long-term partnership. On February 16, Noonday releases their newest line! If you host a Noonday Trunk show between February 16-28, you could earn gifts from some of their partners over at Lindsay Letters and The Object Enthusiast. Plus, with a qualifying show you'll be entered to win a trip for 2 to Austin! Contact your local Ambassador to book a show today. If you don't have an Ambassador, go to the here and you'll find a match with someone in your area! 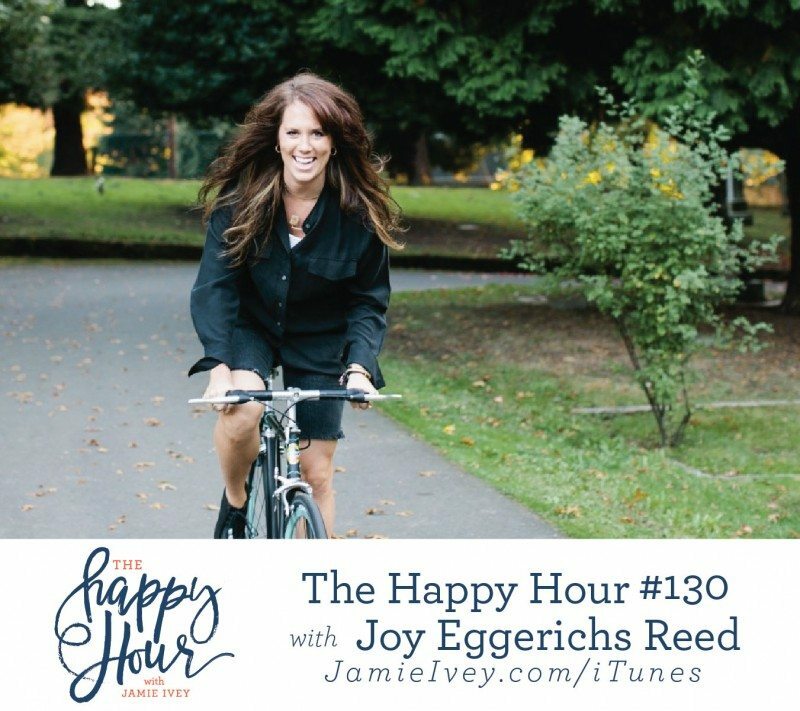 My guest for The Happy Hour #130 is Joy Eggerichs Reed. Joy is the Founder of Punchline Speakers, a new agency connecting communicators to opportunities, and vice versa. Joy has also been a speaker herself over the last decade. Between 2005 and 2015 Joy worked as Conference Director for her parents Love and Respect marriage conferences. Then she created the Love and Respect Now website and The Illumination Project small group study as resources for her generation on the topic of singleness, dating and marriage. In 2014, Christianity Today named Joy one of 33 leaders under the age of 33 shaping the next generation. In our conversation today, we chat about Joy's love for the art of improv, while she educates me on some of the theater lingo. We talk all about her latest venture, Punchline Speakers, and where they're heading and how you might be able to be a part. Joy and her husband are in the process of moving to Paris, France, so she shares what she has learned about French culture and American perceptions. We also chat about our possible diagnoses of Worst Case Scenario Disorder (WCSD) and our mutual experienced fear of sharks in swimming pools. Oh, this conversation has it all. We end with one of my favorite dinner table questions - would you rather be rich or famous? Joy tried her best to wiggle herself out of that question, but she finally caved after some pressure. I loved loved loved having Joy on the show. I think you will love hearing from her, her contagious laugh and what she's up to these days. EM Jewelry+Design is a woman owned and operated company that makes jewelry by hand from start to finish. By creating high quality jewelry we encourage women to invest in fewer pieces that will last longer. Our hope is to inspire confidence in women, by looking and feeling great in what they are wearing. Learn more at emjewelrydesign.com and use code 'HAPPYHOUR' to save 10% on your purchase!